Author: Lowry, Beverly Set In . 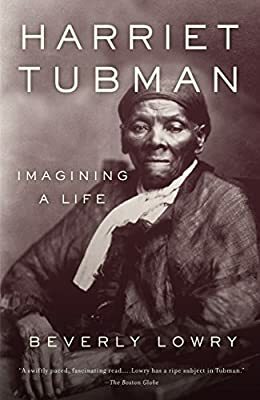 . .
Tubman was an escaped slave, lumberjack, laundress, raid leader, nurse, fund-raiser, cook, intelligence gatherer, Underground Railroad organizer, and abolitionist. In Harriet Tubman, Lowry creates a portrait enriched with lively imagined vignettes that transform the legendary icon into flesh and blood. We travel with Tubman on slave-freeing raids in the heart of the Confederacy, along the treacherous route of the Underground Railroad, and onto the battlefields of the Civil War. Integrating extensive research and interviews with scholars and historians into a rich and mesmerizing chronicle, Lowry brings an American hero to life as never before.